Dilip Kumar, 94, was admitted to the Lilavati Hospital on August 2 due to dehydration and urinary tract infection and was undergoing treatment for kidney-related problems. On Wednesday, Dilip was discharged and celebrating the news, veteran actor Kamal Haasan has taken to Twitter to wish him good health. “Welcome back home Dilip Kumar Saheb. One among your millions of fans in the South of India,” tweeted Kamal Haasan. 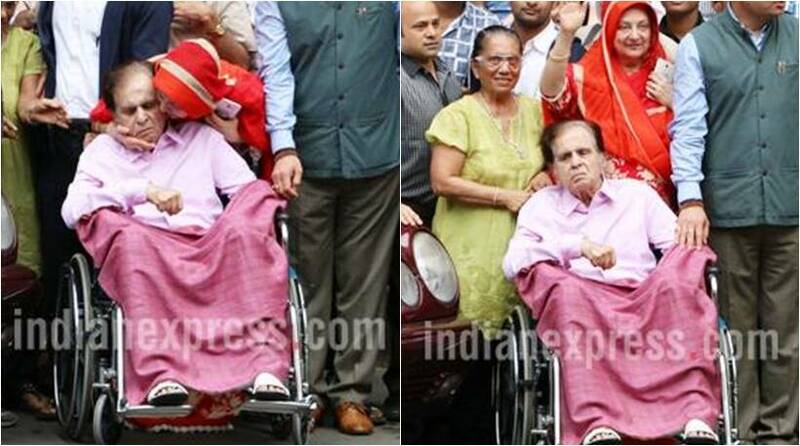 94-year-old actor Dilip Kumar, was admitted to the Lilavati Hospital on August 2, due to dehydration, kidney ailment and urinary tract infection. On Wednesday, he was discharged. He was seen leaving the hospital in a wheelchair wearing a pink shirt. He was accompanied by his wife and former actress Saira Banu. Legendary actor Dilip Kumar’s wife and former actress Saira Banu said that his recovery from kidney-related problems is a miracle, as for her it was a “nightmare” to deal with the sudden deterioration of his health. She hoped that “after going home he will feel even better soon”. High potassium and creatinine levels had raised concerns that the actor may have to be put on dialysis. But doctors had decided against it after he started responding well to the treatment. Last seen on the big screen in “Qila” in 1998, Dilip Kumar was honoured with the Dadasaheb Phalke Award in 1994 and the Padma Vibhushan in 2015. He is known for films like “Devdas”, “Mughal-e-Azam” and “Karma”.